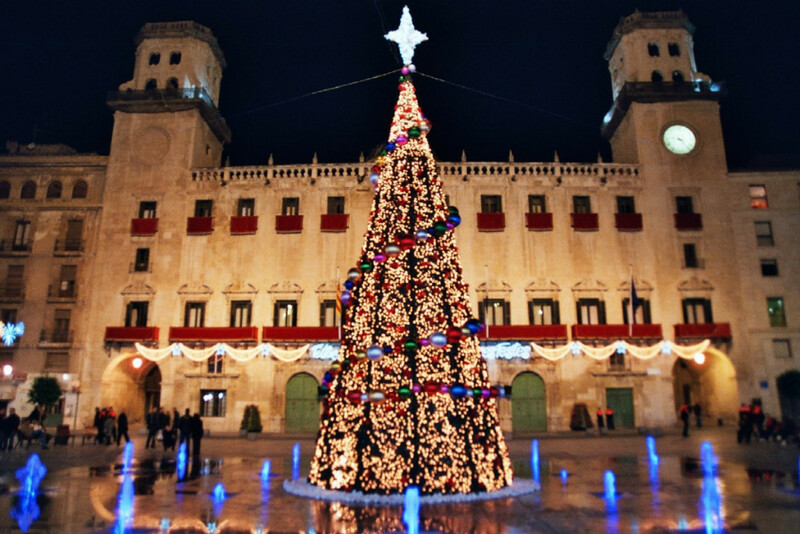 Christmas is upon us and there are lots of exciting things to do and see in the city of Alicante during this time of the year. For instance, you can visit Santa's Grotto, admire the beautiful nativity scenes, skate on the ice rink, try the toboggan run, stroll along the traditional Christmas markets and of course celebrate News Year´s Eve on December 31st! Alicante´s own Christmas Craft Market is located along Avenida de Federico Soto, the main road from the marina to the Plaza Luceros. The stalls will be open from 10 am to 3 pm and then from 5 pm to 11 pm everyday until the 6th January 2018, except Christmas Day and New Year´s Day. The Municipal Nativity Scene is situated in the Plaza de Calvo Sotelo until the 6th January. It is a must see for people of all ages and it will make wonderful memories for the whole family. With the arrival of Christmas also comes traditional Spanish holiday food. You certainly will not be disappointed after you try the tasty king prawns and lobsters, usually followed by a roast of some sort and the essential Christmas sweets in Spain, turrón (nougat), polvorones (powder cakes made with lard) and Roscón de Reyes. This is a large cake with candied fruit which occasionally has cream or chocolate in the centre. Whatever your meals consist of, you can be sure to have a great holiday when you buy a property on the Costa Blanca.